This new Black Devil’s handkerchief is a GIANT 30” square. It's properly made with the "No Sag" feature. This means you can use objects much larger and heavier than with the old-fashioned Devil's Hank. 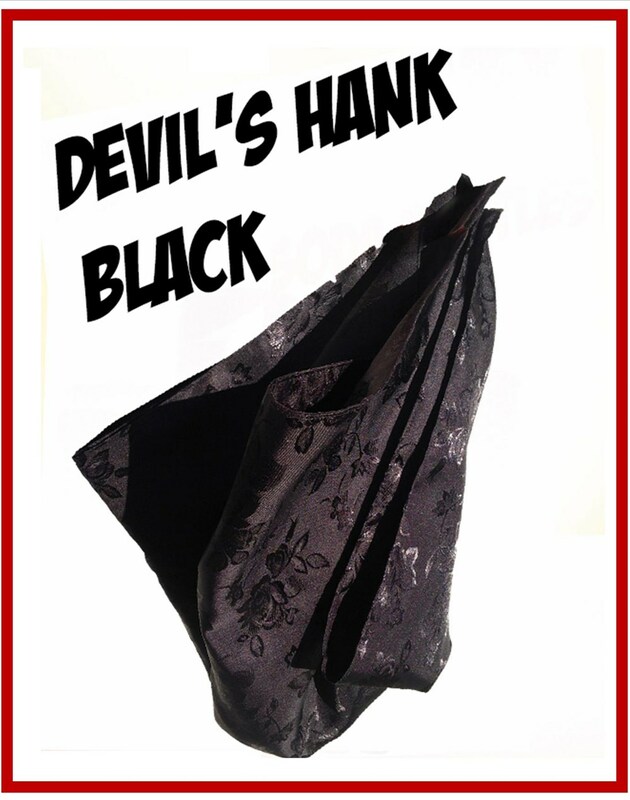 Place your order for the BLACK Super Giant Devil's Hank. Want another color? It may be available on this site. Check the recommended products below.